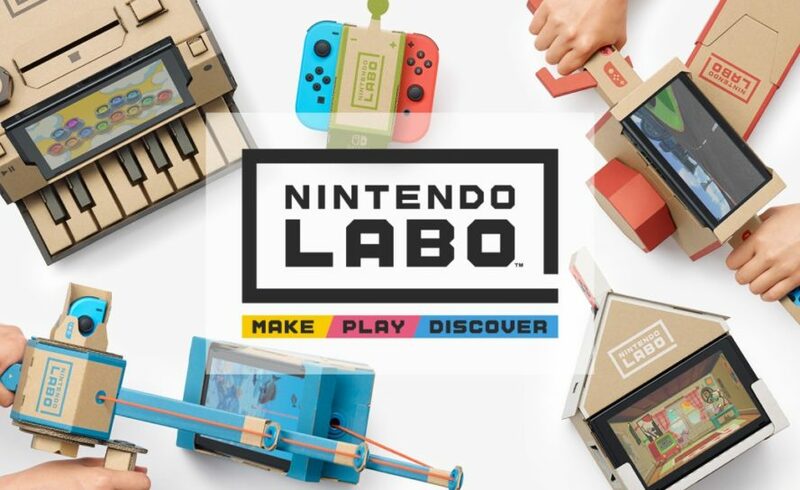 The recent announcement from Nintendo that it is looking to launch Nintendo Labo for its younger Switch owners demonstrates a very positive and ambitious project for a gaming company that has continued to excite, surprise and innovate. Designed to be used directly with its console and the accompanying Joy-Con controllers, the kit comprises of a set of modular cardboard sheets that can be built into several interactive controllers. The kits themselves act as blueprints from which players can build anything from houses to motorbikes. These designs become progressively more complex, allowing the system to satisfy everyone from the very young to adults who may remain young at heart! As an example, the fishing rod template allows you to create a rotating reel that is attached by strong to a cradle holding the Switch console and then the user must attempt to catch one of the fish shown swimming across the console’s screen by unwinding the reel to lower the hook. The Joy-Con controller vibrates to signal when a fish has taken the bait and then the user must crank the reel back up. For the more musically minded there is the opportunity to construct a 13-key cardboard piano and then insert various knobs to add different sound effects and tones. The opportunities are endless and this looks like a fantastic way to encourage users to employ more creativity and imagination into their gaming. Nintendo Labo is due to be launched in Europe on 27th April, with prices starting from £50. Although it sounds like a high price to pay for what are essentially cardboard cut-outs, what they can deliver are ultimately worth the outlay. For more information visit the Nintendo site here.